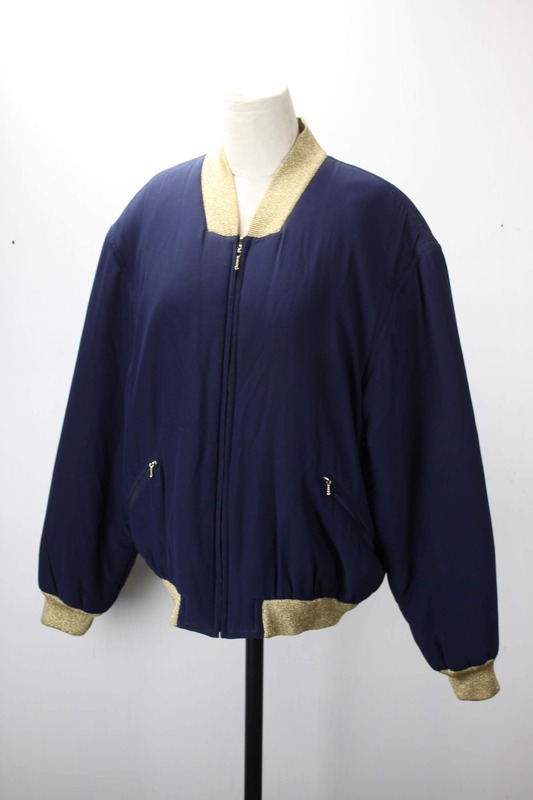 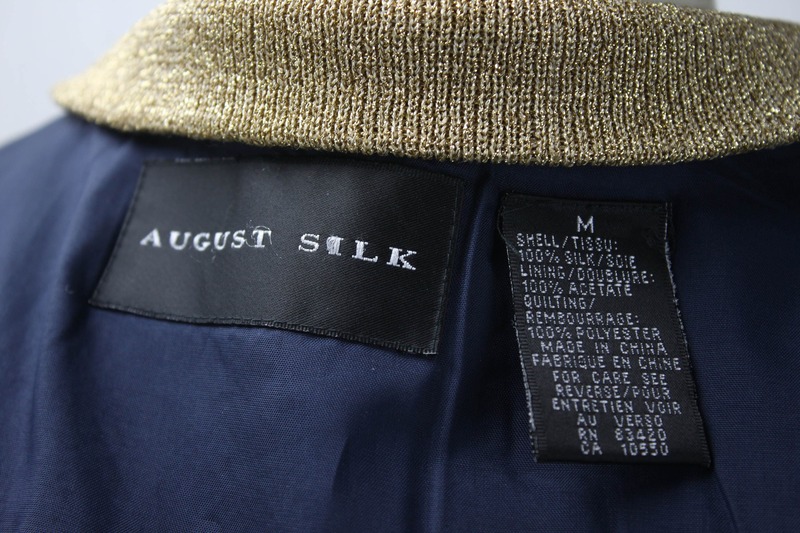 Look your best with amazing silk track jacket by August Silk! 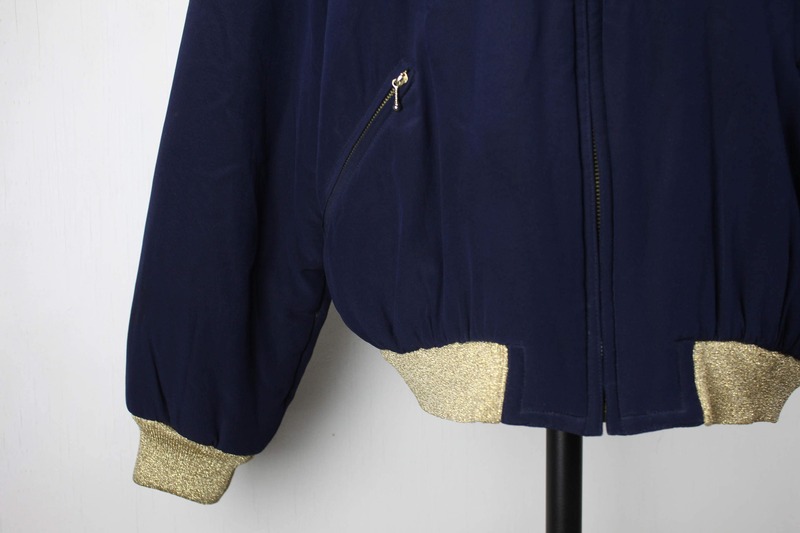 100% silk shell with a rich and deep blue color! 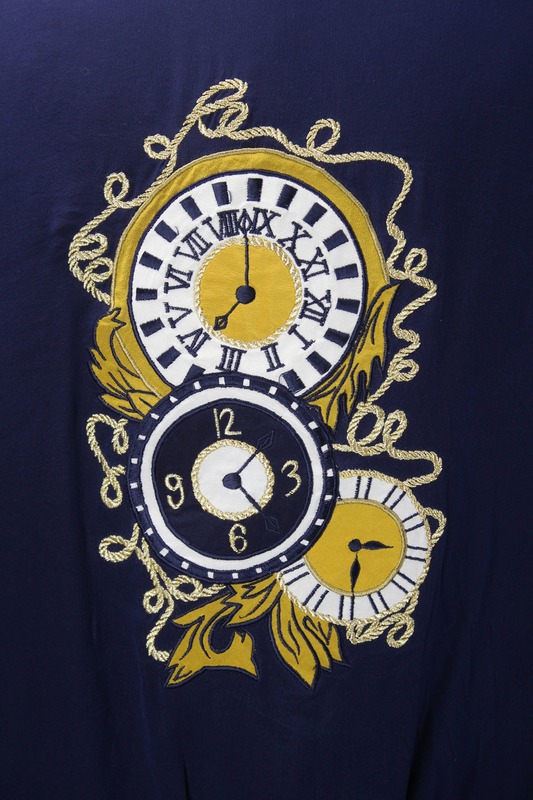 Accented with Metallic gold, polyester knit on the neck, cuffs and waistband! 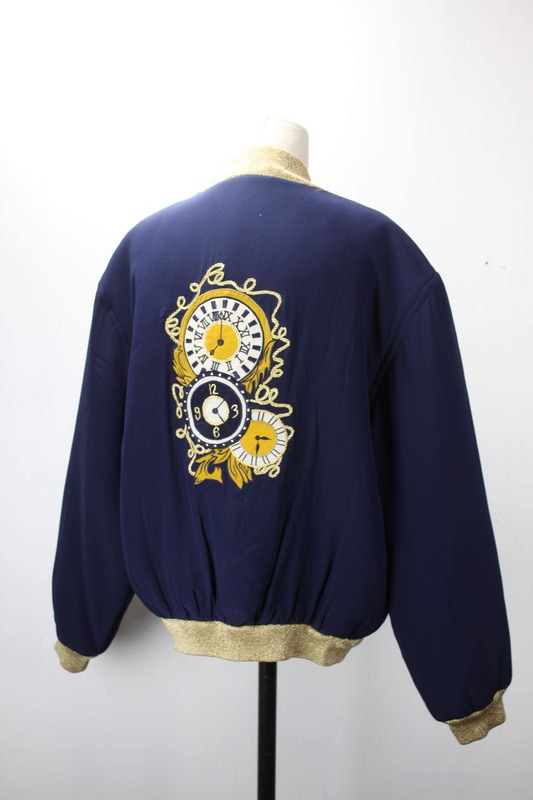 The back of the jacket features a stunning embroidered clock work motif!